R-E-L-A-X, you're at the lake in your backyard. It’s a big job to handle all that goes into your lake or pond. Luckily, we’re up for the challenge. Yes, it’s a place of sandcastles, swan-dives and sunbathing. But it’s also a place of expert scientific methodology. 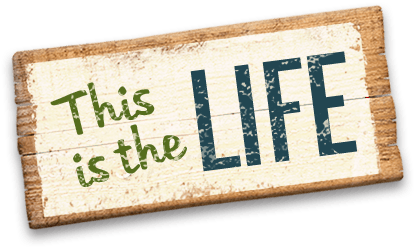 Our team is passionate about keeping your paradise exactly as you want it, so all you have to worry about is creating life-long memories. What is Integrated Pond Management? What are the typical concerns once my pond is built? Integrated Pond Management (IPM) is a concept relating to Integrated Pest Management strategies. In our case, the “pest” is generally nuisance aquatic growth such as aquatic plants and algae. This type of pest control program utilizes a variety of complementary strategies including cultural management, change in environment, chemical management, and others. These methods are performed in three stages: prevention, observation, and intervention. It is an ecological approach with a main goal of significantly reducing or eliminating the use of pesticides while at the same time managing pest populations at an acceptable level. 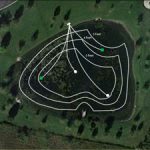 This service continues to gain popularity with our customers and has resulted in faster growth of our pond management team than any other department. WLPR biologist evaluates the lake or pond and develops a management plan specific to that body of water. WLPR professionals will provide precise and timely applications of the various products. Even though we have a diverse clientele that utilize this program, they all have the same common goal–to achieve the highest standard for their pond by improving water quality parameters and aesthetics while minimizing algaecide and herbicide dependency. 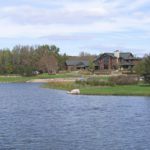 It does not matter if the client is a private pond owner, corporate property manager, or a golf course superintendent; we customize the program to fit their needs. The program is really considered “hands-free” management for the customer. We will develop a management or monitoring schedule outlining when and how often our biologist will be on-site. We will also provide a list and quantity of anticipated products and services that may be required to fulfill the customer’s realistic goals and expectations. We will regularly visit the site to monitor the pond or lakes condition; apply any necessary products; and perform any required services. At the conclusion of the season, we will evaluate our management efforts and results with the owner. Every pond or lake will require a customized plan since every site is different. Based on the customers input and the pond or lakes condition, we will provide recommendations and establish a maintenance budget for the season. 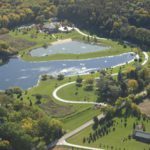 Mother Nature and the weather play a role in determining how much maintenance a lake or pond requires. Some years will require more or less maintenance than others. Since we cannot predict the weather, we may exceed or fall short of the budgeted amount. If requested we will obtain the customers approval if a budget extension is anticipated. The pond or lake is being managed and monitored by a professional pond or lake management specialist. The customer has little or no maintenance and scheduling responsibilities. The customer will save time and money having the proper products and services applied in a timely manner to their pond or lake.